Register for a first order discount to buy this for just £322.05, saving £16.95. 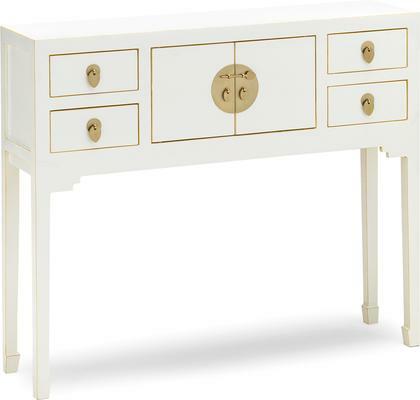 Made for those who adore simplicity, this Small White Console goes well with either modern or traditional spaces. 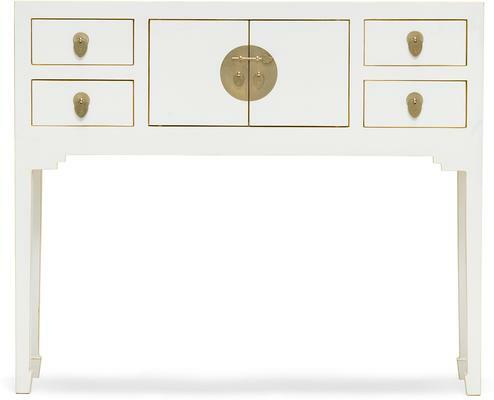 The table showcases a rectangular design painted in an all white finish. Slim yet sturdy legs provide great support while also echoing clean lines. At the front, there's beautiful metal work along with several drawers and storage spaces for keeping all your favorite items. The table is made from high quality poplar and pine wood then topped with a gorgeous and clean white finish.